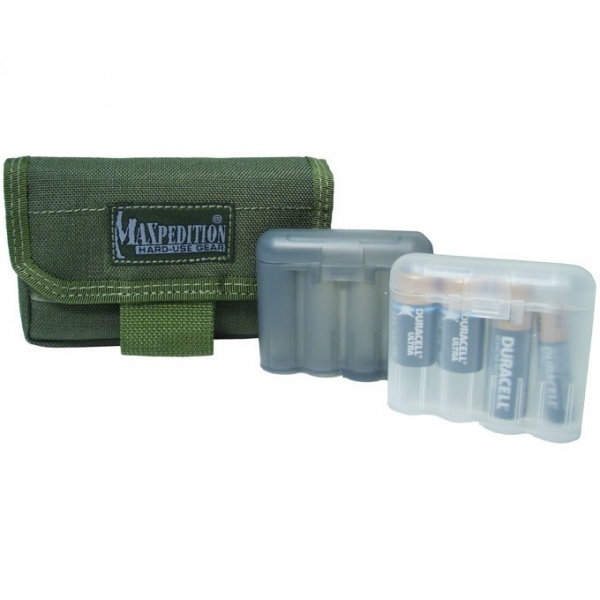 Very useful pouch from MAXPEDITION.I used to wrap batteries in electrical tape to stop them shorting out in my packs, it worked alright, but it wasn't ideal. This item is much better.The pouch does two things, First it stops the need for 'taping' (the batterys are encased in a plastic sleeve) and also it keeps them all togther in a neat, easy to find, package. You can adapt the Volta for your belt, or probably much easier, for your backpack.Usually your batterys fail just when you need them, so having them accessable and easy to get at can save a lot of messing about in the dark!! 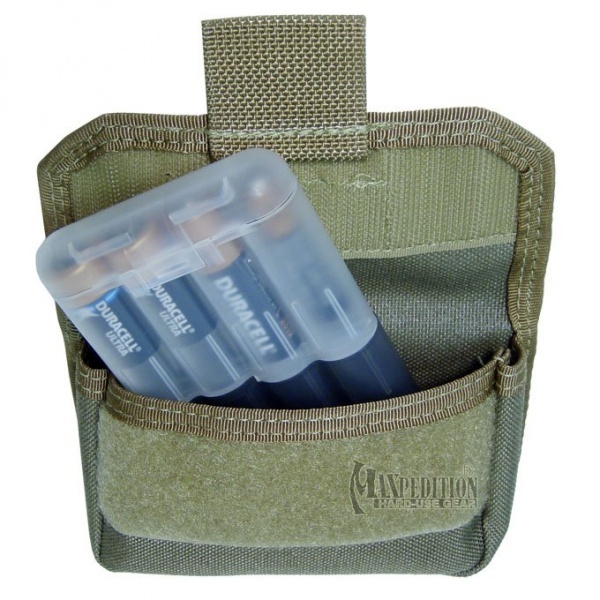 Compartment 5" x 3" x 0.75" with drainage grommet; fits iPod, 5 shotgun rounds Includes exclusive clear/smoke combo BATUCAÂ® battery insert; patents pending Holds up to eight (8) CR123, AA, or AAA batteries; separate new and spent cells. Purchase through PayPal by using the "Add To Cart" button above or use the form below to order the VOLTA Battery pack FG . Feel free to contact us if you have any questions about the VOLTA Battery pack FG .